Four new pieces expressing visual dialogues, making political claims and depicting a possible utopian world. Words Needed is a curatorial concept where moving texts are projected onto four snow walls in Umeå during the Opening Weekend of the European Capital of Culture 2014. 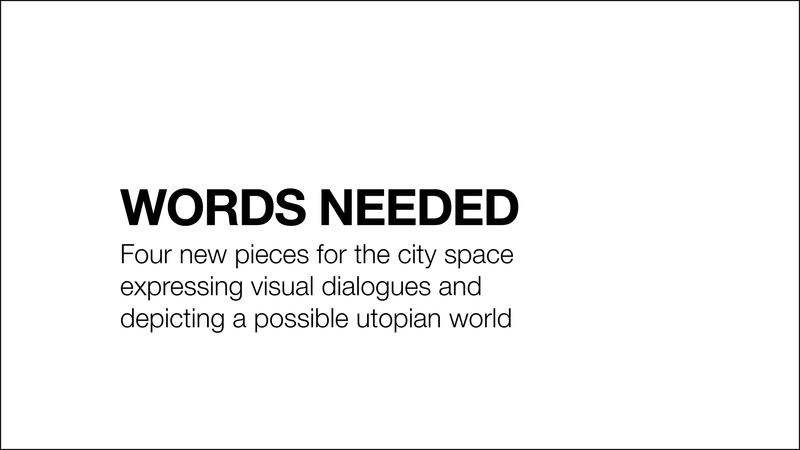 The artist Anna Linder is curating Words Needed and she has invited other artists to the project. Together they create a collective feeling that interprets and describes a possible and utopian world. Each of the invited artists produces a visual conversation with somebody or something, somewhere in the world. Their conversation provides the inauguration weekend with an artistic and utopian dimension, and the power of the word becomes palpable in the public arena. The right to use your own language has not always been self-evident, neither has the right to develop new language possibilities. Nevertheless, the will to communicate has always helped language to find new ways, and this is also something that Umeå2014 is doing with Words Needed.